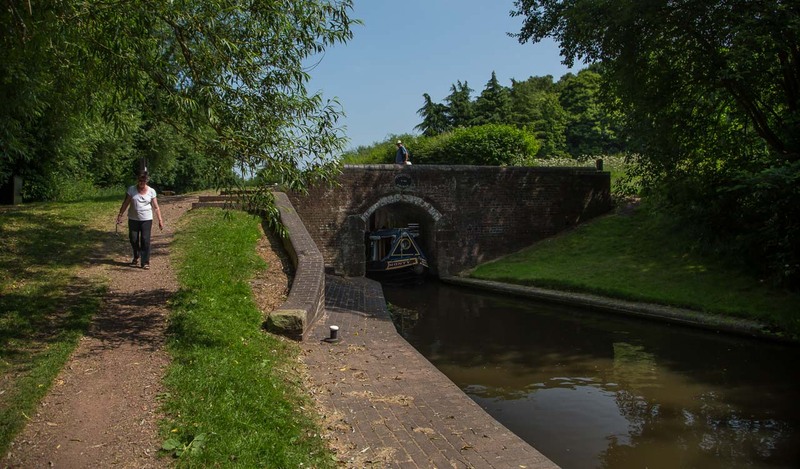 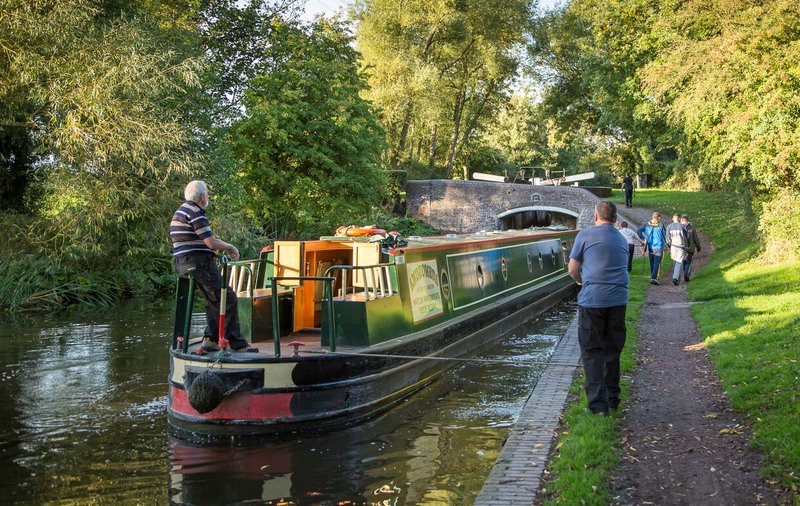 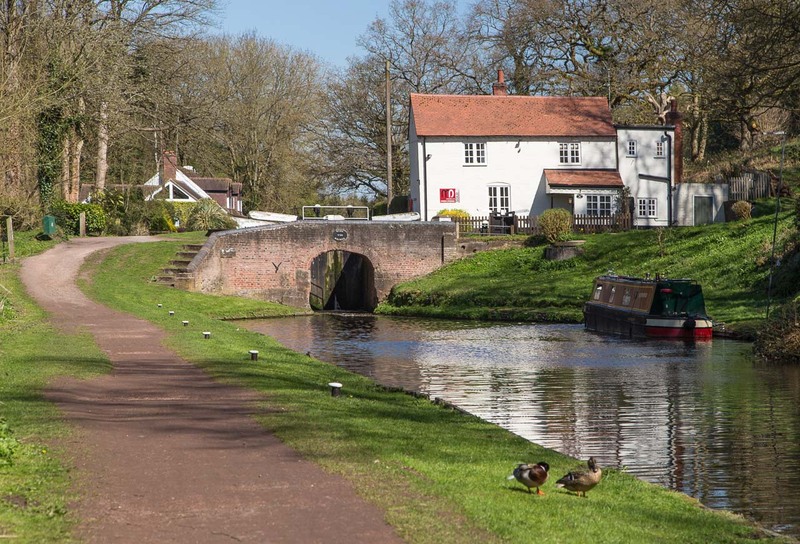 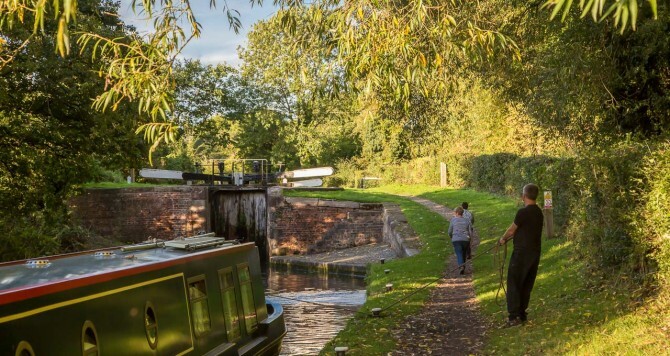 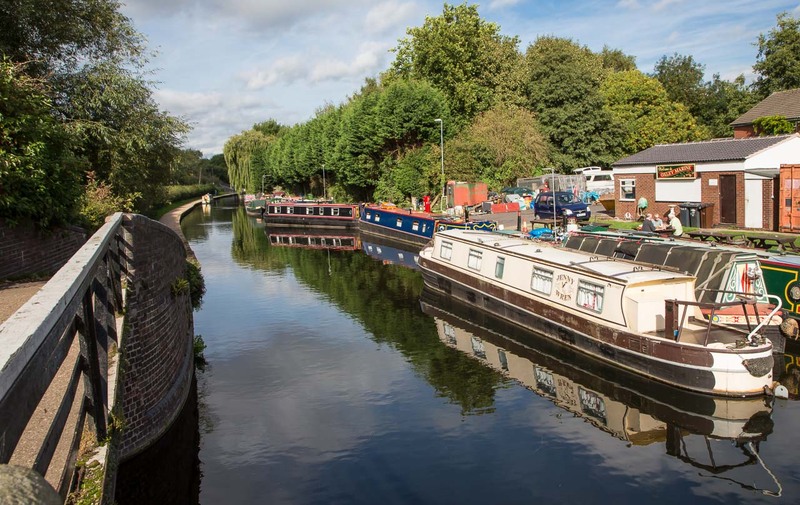 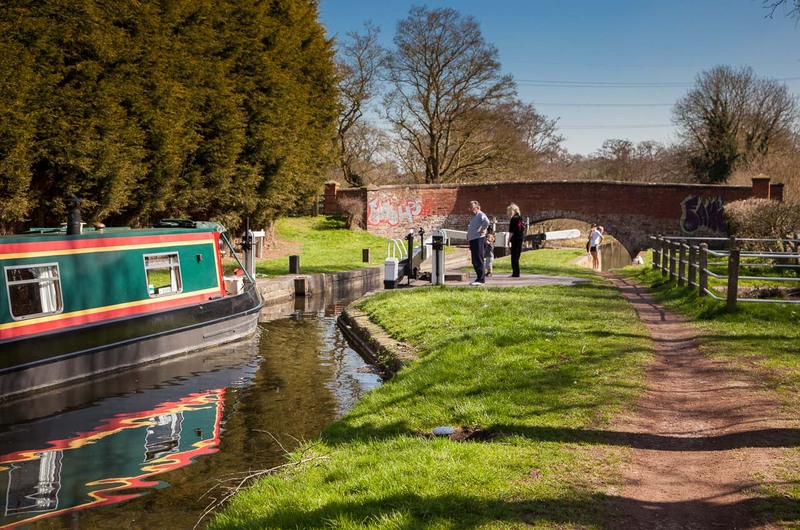 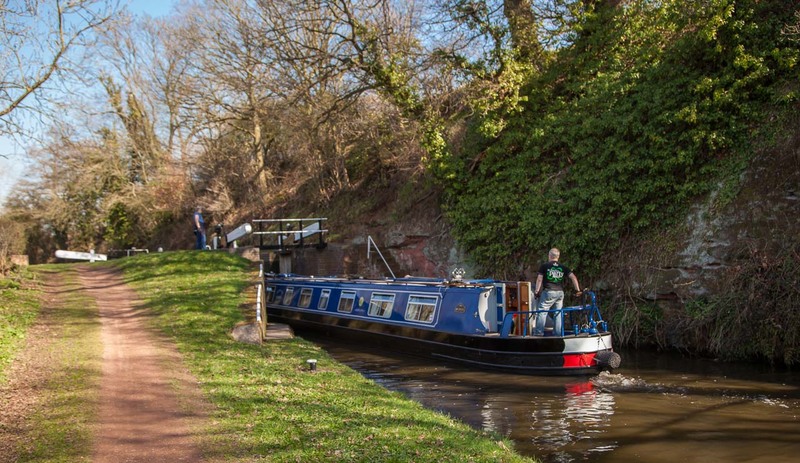 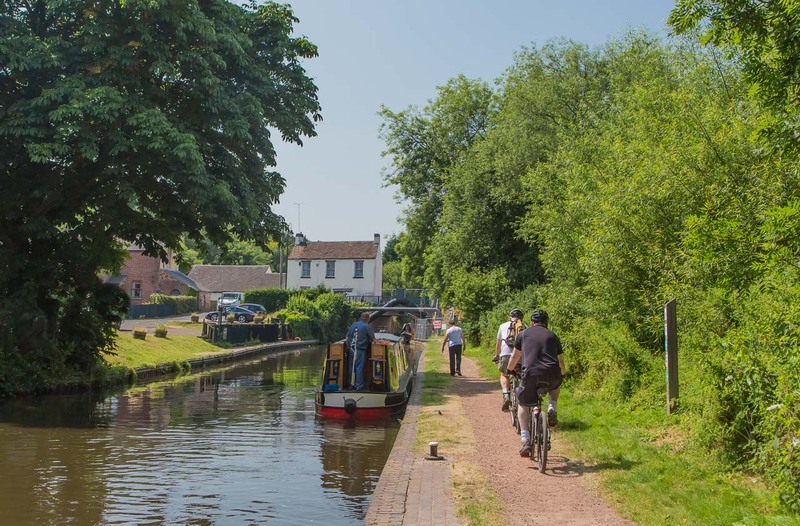 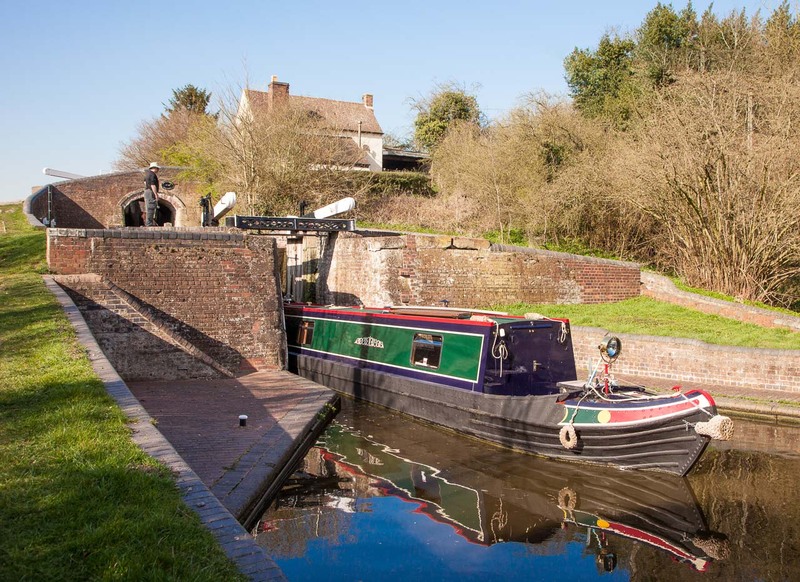 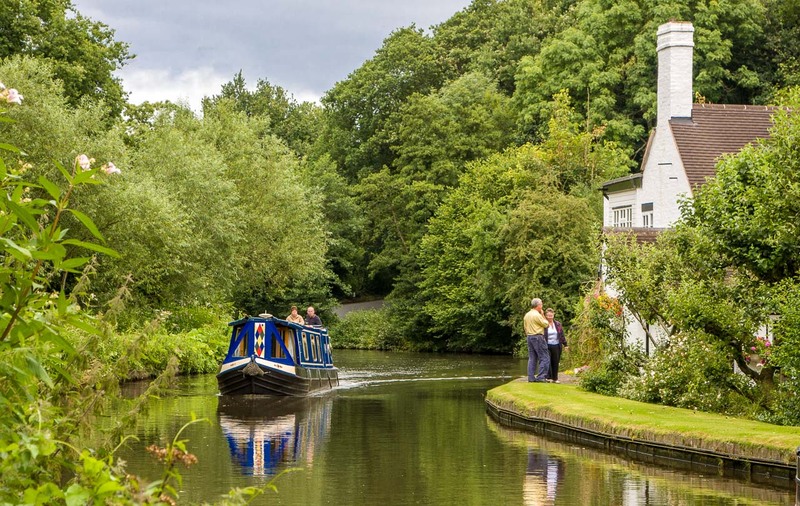 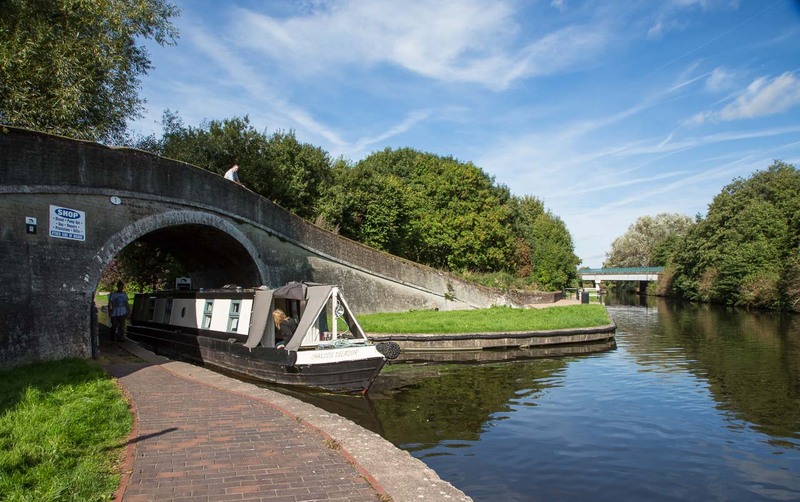 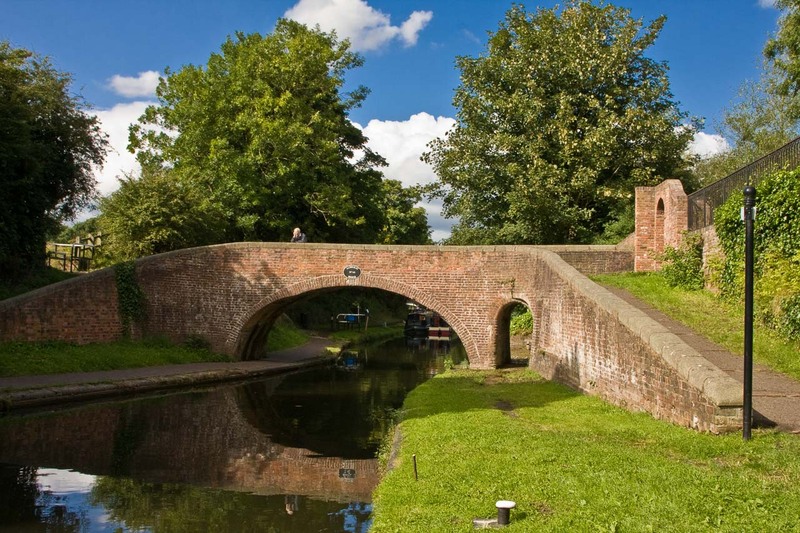 Although the Staffs & Worcs canal passes by the major urban areas of Wolverhampton and Kidderminster, it enjoys a largely rural setting from its junction with the Shroppie at Autherley Junction down to Kidderminster. 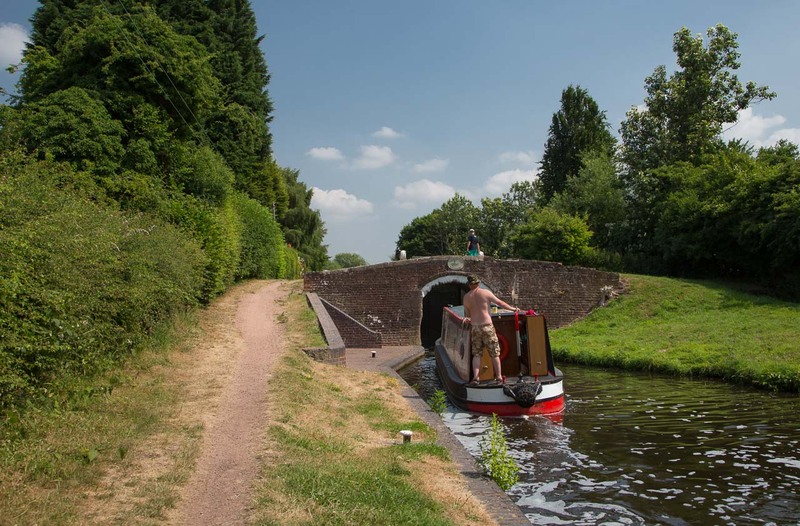 It is an important route from the North to the River Severn and beyond via the severn estuary to the Kennet and Avon canal leading from Bristol eastwards towards the distant capital. 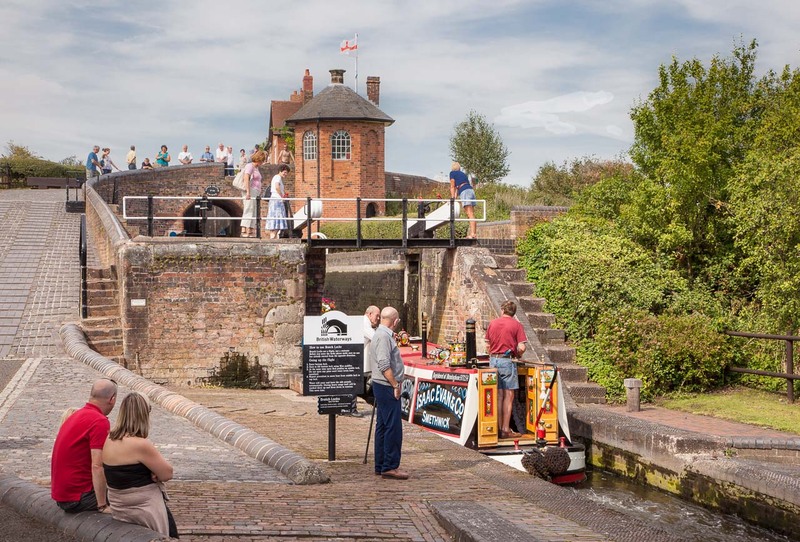 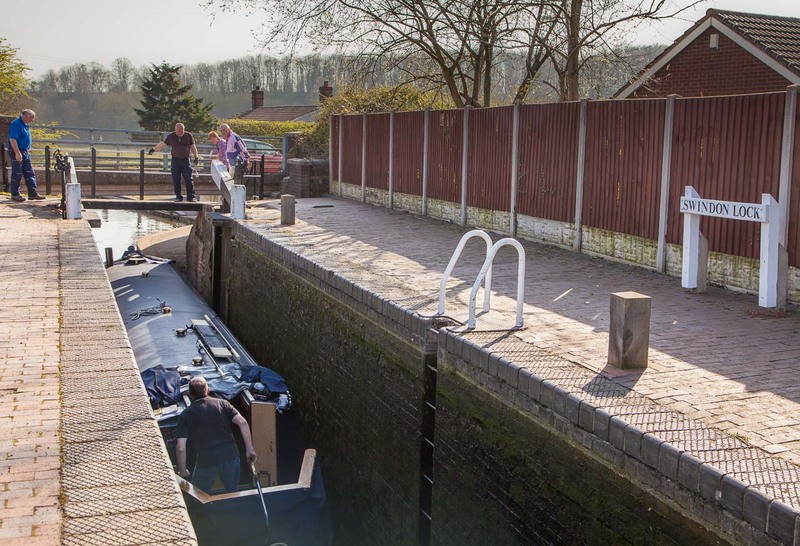 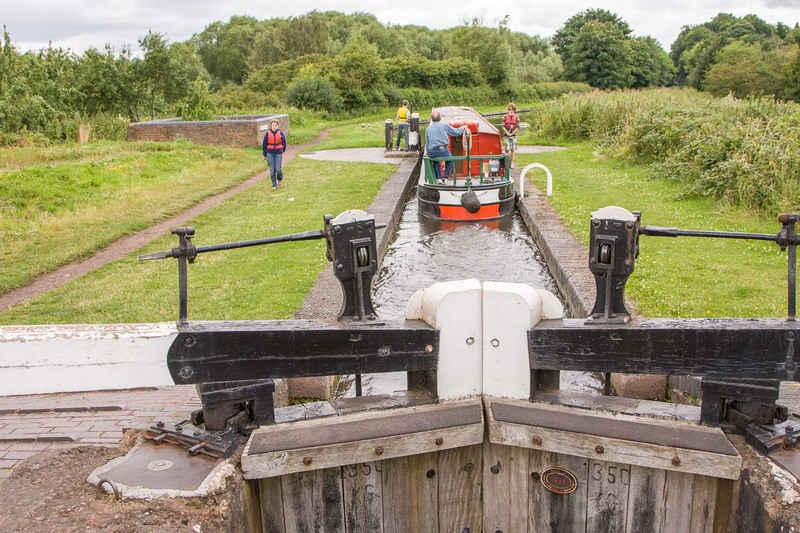 Important in that it avoids the sprawling conurbations of the Black Country and Birmingham and the Tardebigge flight of 30 locks in just two miles on the Worcester and Birmingham canal. 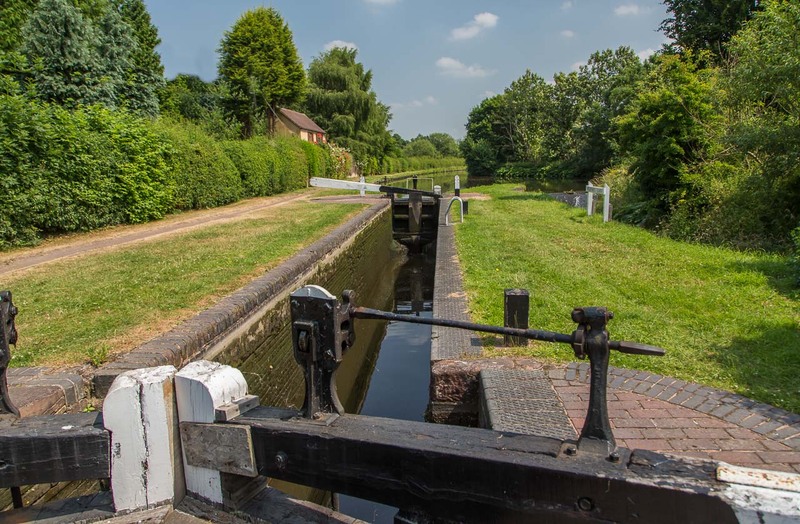 The jewel in the crown of this stretch of canal is Bratch Locks (23-25) at Wombourne. 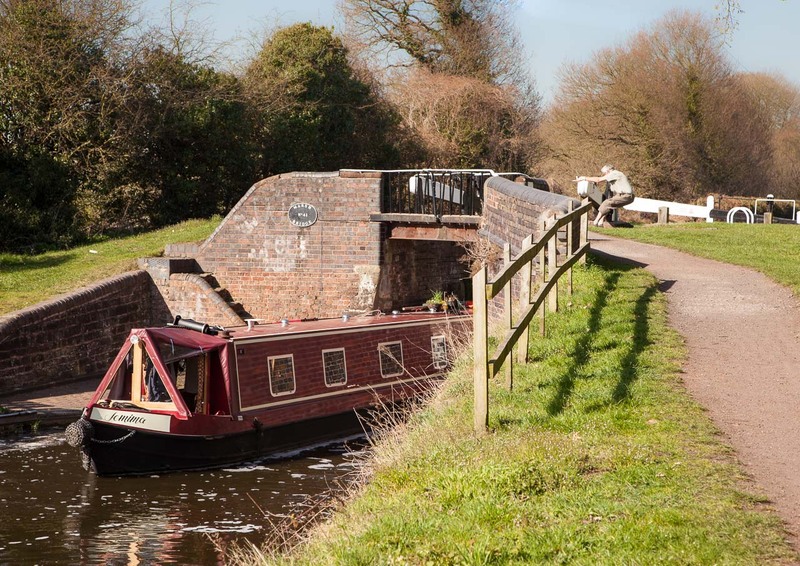 On first view this would appear to be a three chamber staircase and indeed James Brindley built it as such. 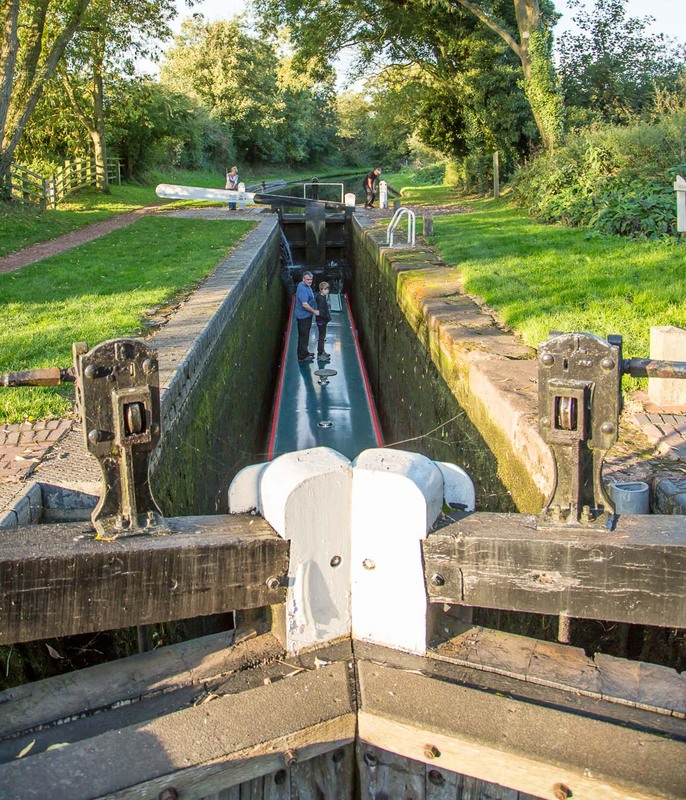 However, due to excess water wastage, the locks were converted to three singles. 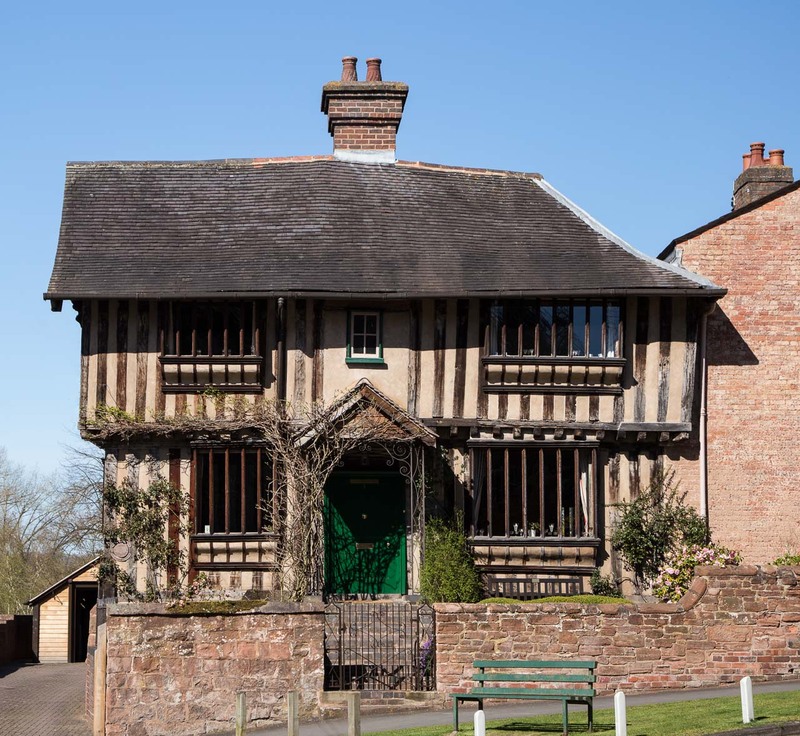 From top to bottom this is a hugely characterful structure with sweeping lines and distinct and preserved historic architecture. 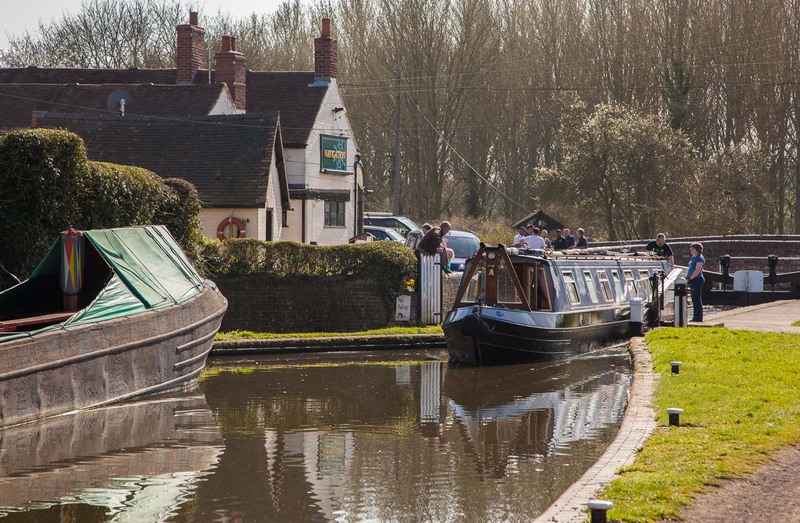 It is a favourite place for gongoozlers at weekends. 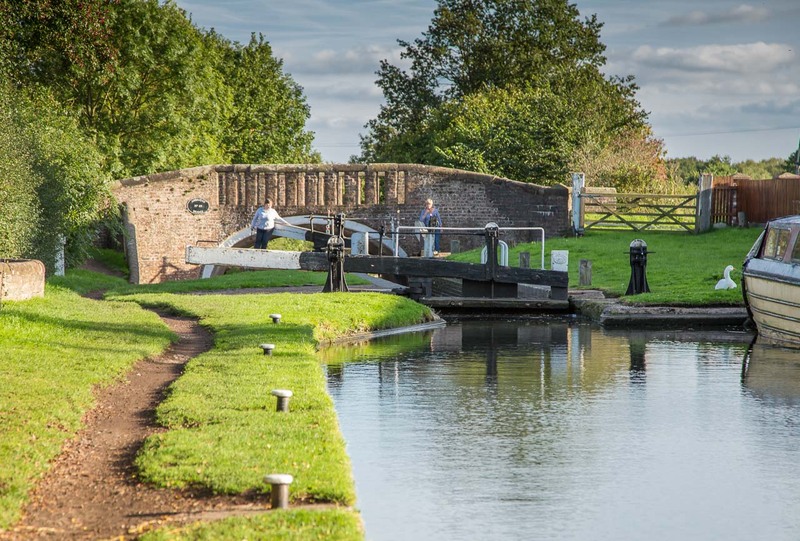 A lock keeper is always on hand. 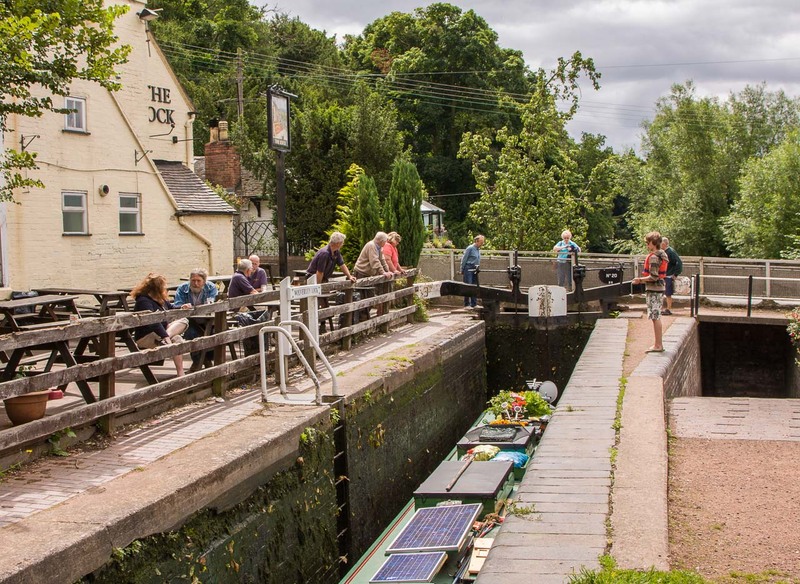 Kinver is also a great stopping place with a small village main street with food stores and cafés. 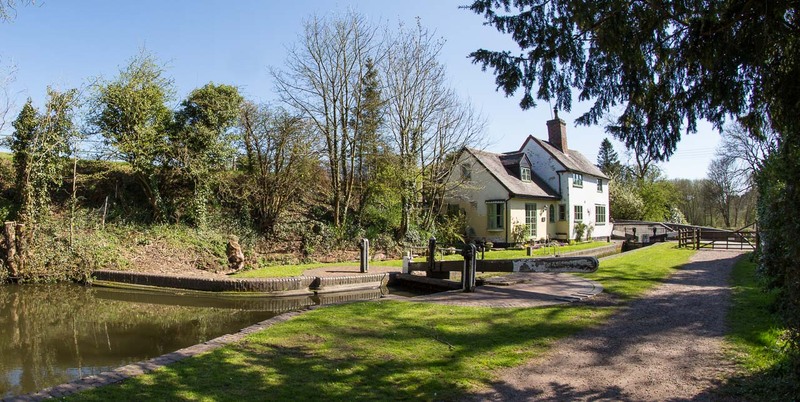 On the far side of the village, but still within walking distance of the canal, is Kinver Edge with its rock houses. 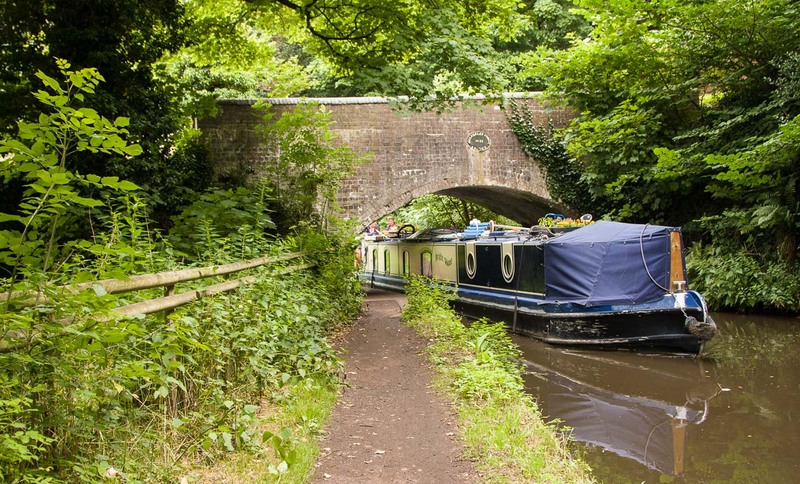 Worth exploring. Shown left is the Old School House, Dark Lane, Kinver – late 16th century. 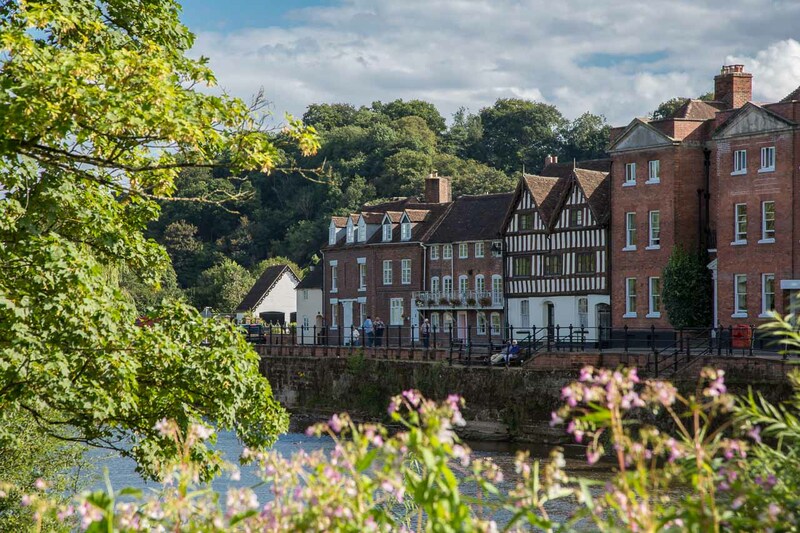 While passing through Kidderminster I really would recommend a trip to the historic, characterful and charming small town of Bewdley, shown left. 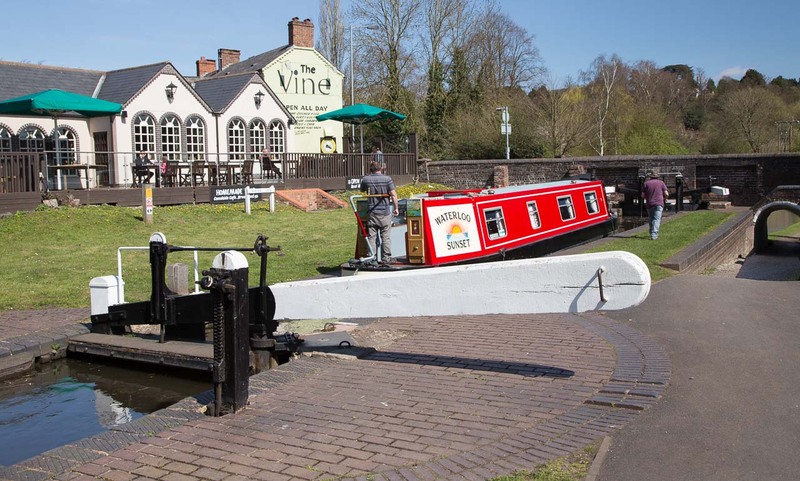 Getting there is easy and enjoyable by a 15 minute very enjoyable steam train ride on the Severn Valley Railway from Kidderminster station.. 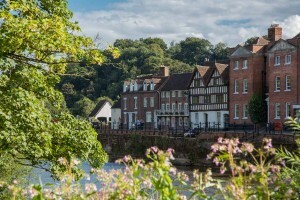 The river Severn runs through the town and the views across the river from both banks are memorable. 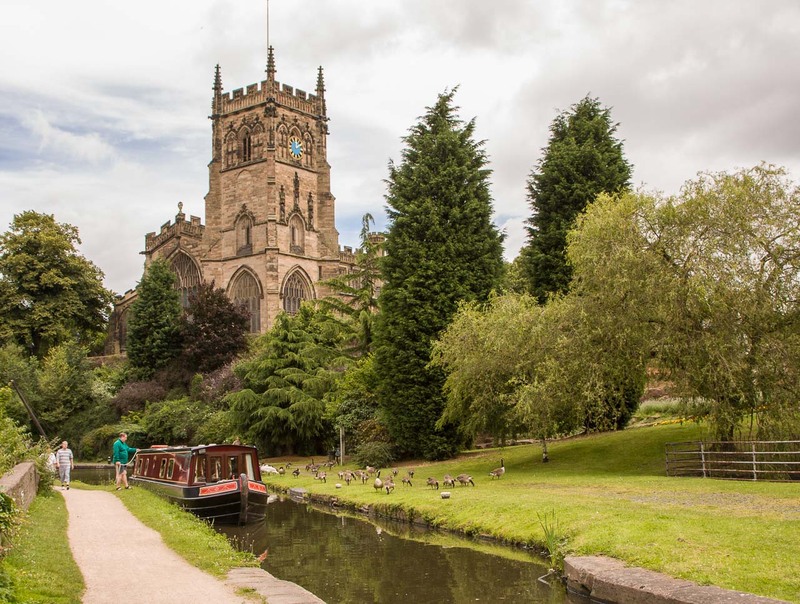 You can view a tour of the town in my other website AndForMyNextTrip.com.